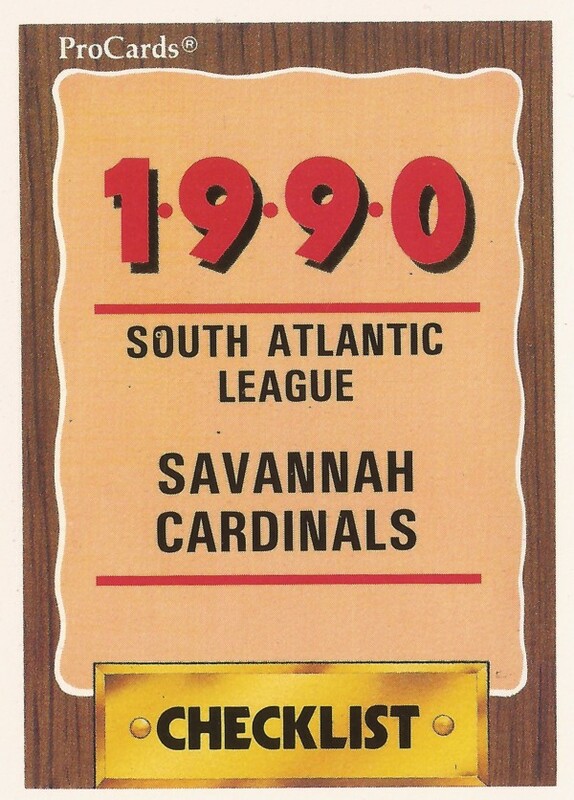 Features on each member of the 1990 Savannah Cardinals, single-A affiliate of the St. Louis Cardinals. Jim Ferguson helped the 1987 Salt Lake Trappers to a 29-game winning streak. Kevin Tahan got a late start. He did not take it for granted. 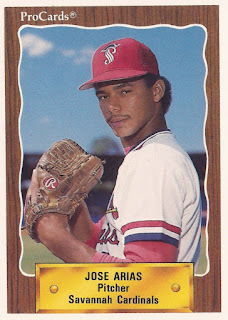 Jose Arias played three seasons as a pro. He made single-A. Ernie Baker was fine with his career's end. He had different priorities. Scott Banton came through for his team. His runners didn't cooperate. Marcos Betances got a well-earned bonus with a rookie ball no-hitter. Johnny Calzado hit bases-clearing double at single-A. He never made AA. Rick Colbert played 11 seasons as a player. He never made the bigs. The Cardinals saw in Paul Coleman a Bo Jackson type. Steve Dixon pitched with much energy. He made the bigs in two seasons. Ignacio Duran knocked a bases-loaded double in 1990. He played six seasons. Willie Espinal was called a 'first-class' pitcher in college. Luis Faccio threw a strikeout high at single-A. He played eight seasons in the minors. Jim Ferguson's summer in 1987 was probably the best of his life. Dennis Fletcher snagged a come-backer in his second pro season. He never made AA. Russ Gaston got out of early jams in 1990. He played three seasons as a pro. Don Green got his chance at high-A. It was the highest he got. 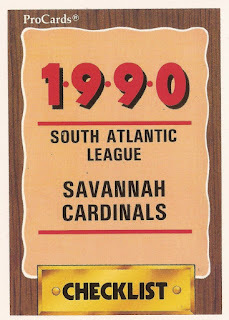 Larry Gryskevich helped his Savannah Cardinals to a win with a home run. He played two seasons. Mike Keating helped his single-A team come back. He played one season. Anthony Lewis helped his AA teammates in 1996. He never helped himself to the bigs. Nicio Martinez came through with a single, but it was too little, too late. Tony Ochs brought his bat to college. He played three seasons as a pro. Mark O'Neal started as a trainer with Savannah. He made the bigs as a trainer with the Cardinals and Cubs. Mateo Ozuna's speed made him a bright spot, not a major leaguer. Al Pacheco got his high school to the state championship game. He played two seasons. Andy Rincon was pitching well for the Cardinals, until a come-backer broke his arm. Rick Shackle shut down the champs in college. He got into five pro seasons. Kevin Tahan had his night in 1998. Mark Tolbert hit two doubles for his Legion team. It wasn't enough. Joe Turvey played in the mold of old-time catchers. He never made AA.